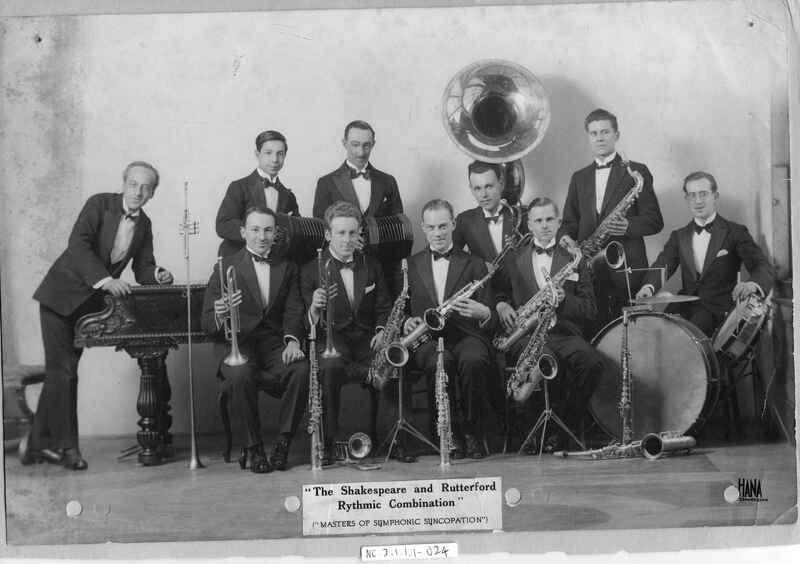 Full Description: A large photograph of "The Shakespeare and Rutterford Rythmic (sic) Combination", subtitled "Masters of Symphonic Syncopation" - Harry Minting appears standing next to the pianist, holding a large Aeola Duet concertina. 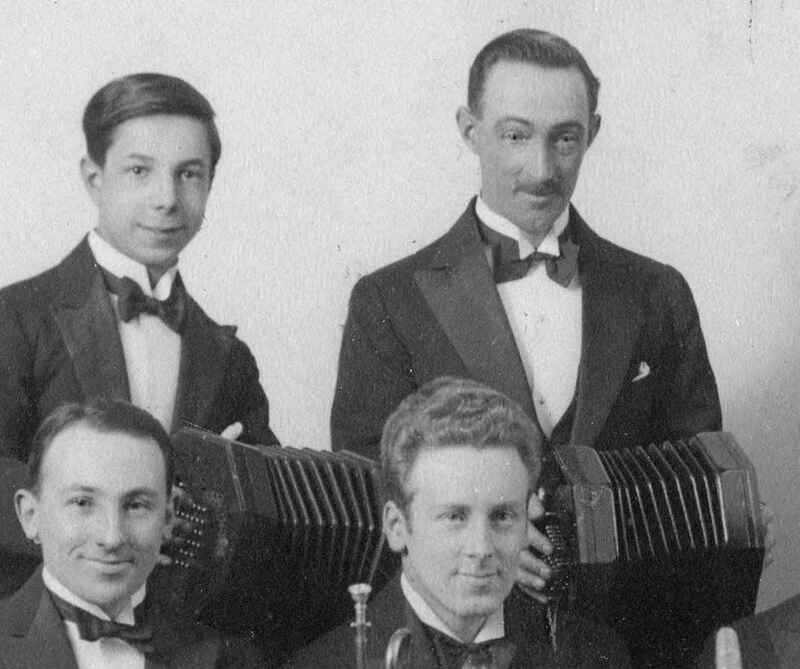 This ten-piece band and its variations played many concerts and dances throughout the 1920s and '30s, and there are many of their programmes and photographs within this Minting Archive section. ( NC.2.1.1.1-025 , NC.2.1.1.1-026 , NC.2.1.1.1-037 , NC.2.1.1.1-055 , NC.2.1.1.1-056 and more).